During its I/O 2018 conference, Google announced the new ADT-2, a reference Android TV device about the size of a Chromecast Ultra. The Google-branded dongle passed through the FCC last month, so its launch was imminent. The device runs Android TV and includes an HDMI plug and power port. It comes with 8GB of storage and 2GB of RAM. Additionally, the dongle supports 4K video streaming and works in concert with a Bluetooth LE remote that can summon the Google Assistant. Since it’s meant to be a reference device, the ADT-2 will be only available for developers and not for general public. The device will run Android P when it will start shipping out to devs later this summer. 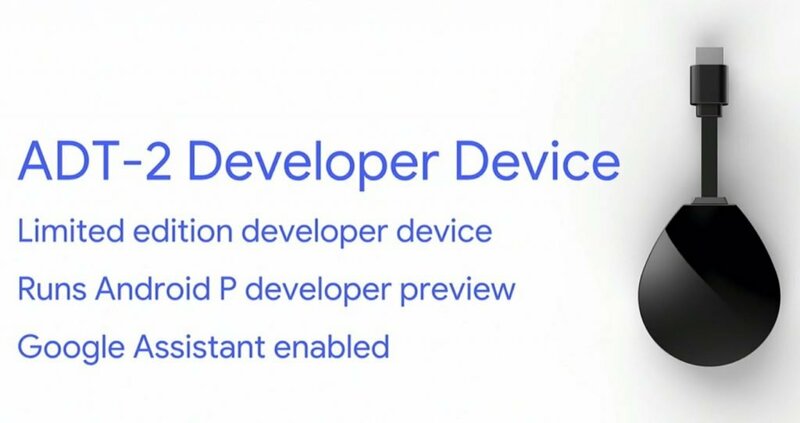 Google said that only a limited number of developers will get the dongle, and that priority will be given to those who have a Google Play account. You can sign up here to get one. If you get chosen, Google will reach out to you. 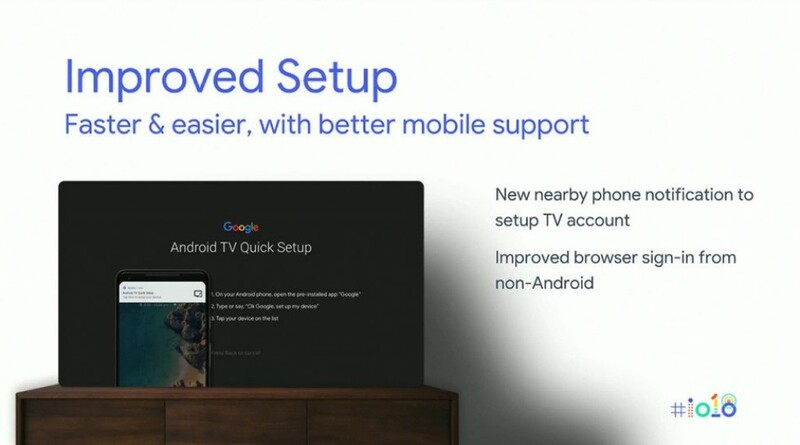 On top of announcing the ADT-2, Google also details several changes that are coming to the Android TV platform. 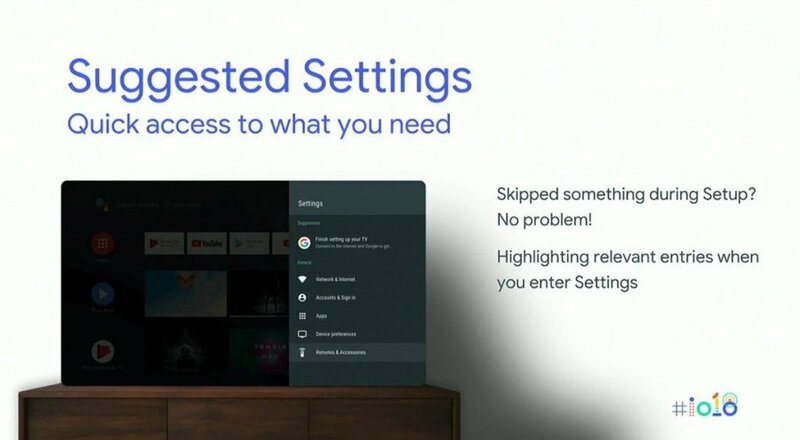 Starting off with performance, Google has tweaked requirements to enable Android TV to run on lower-end devices with Android P. This should also translate into an improved experience on better hardware. The search giant also says it has simplified setup. If you are using an Android device, the system’s “Nearby” notification will now help you to easily set up Android TV. For iOS users, Google has worked to improve the browser sign-up process. 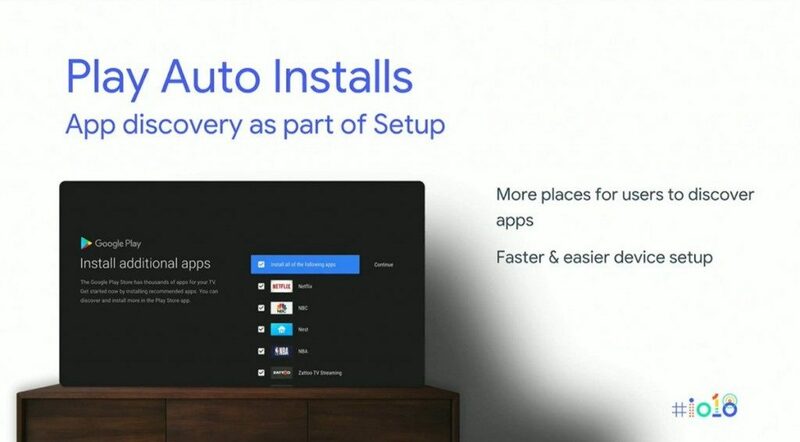 The setup will also be able to suggest which apps should be auto-downloaded and installed thanks to the Play Auto Installs step. 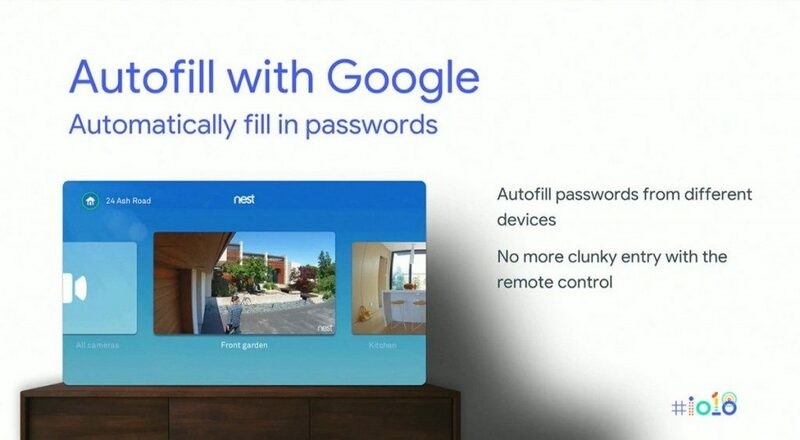 What’s more, it will also help you log into accounts like Netflix by using Google’s Autofill function. Last but not least, setup will let you know if there are any settings that you might have missed giving you quick access to what you need for a full experience. As part of Android P, Google also has plans to introduce new hardware form factors for Android TV. 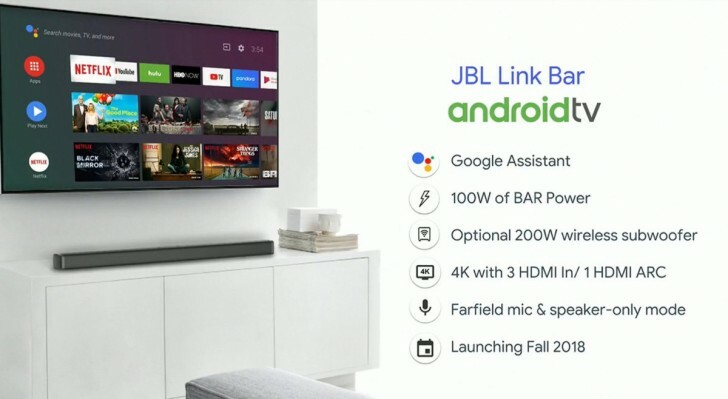 Among the first will be the JBL Link Bar, which will feature an always-on Google Assistant. This is a typical-looking home theatre soundbar, but when plugged into a TV it can offer a complete Android TV experience. The product will become available to consumers later this year.